Engineers working on the environmental assessment phase of a proposed widening of 3.5 miles of Interstate 10 through the heart of Baton Rouge are months behind schedule, due to the challenges of trying to plan the project around several residential neighborhoods, historic structures and a thriving merchants district. A final draft of the assessment was originally supposed to be presented at a public hearing in December. But the date was pushed back to February because state transportation officials said at the time the report wasn’t quite ready. Now, Louisiana Department of Transportation and Development spokesman Rodney Mallett says it will probably be late spring or early summer before the final draft of the assessment is ready to present to the public for a final hearing before it’s forwarded to the U.S. Federal Highway Administration for approval. Completing the environmental assessment is a key step in the federal approval process of major highway projects like Gov. 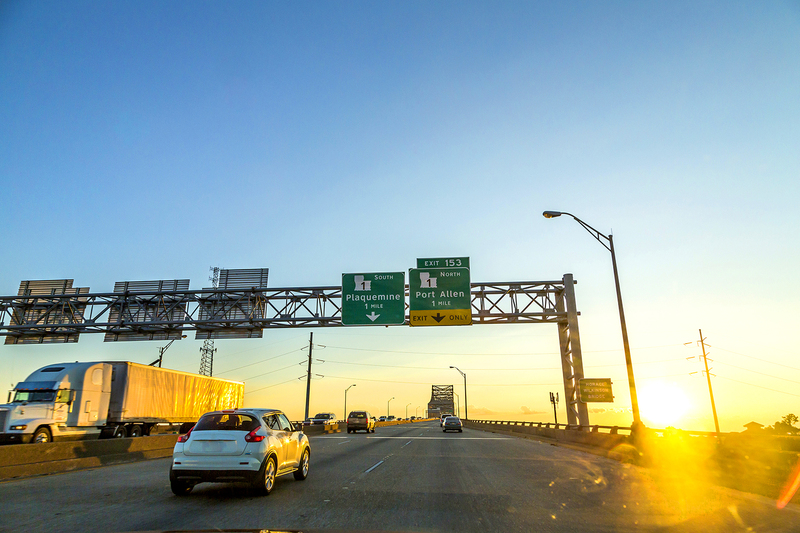 John Bel Edwards’ planned $360 million widening of I-10 from downtown to the I-10/I-12 split. It will be informed by reams of data, engineering and, in part, public comments made at a series of three community meetings last August. The report will be of particular interest to those who live and work along the piece of interstate slated for widening, as it will detail how the work will be done, how long it is expected to take and what will happen to the homes and businesses that will be displaced by the work. That the environmental assessment would be running behind schedule should come as no surprise. Figuring out how to widen and replace the entire elevated structure of the nearly 60-year-old I-10 without destroying adjacent properties and negatively impacting small businesses is a challenge that has stymied this project in the past. Because traffic has become so much worse in the years since—and because the state has identified a funding source this time around—the widening is expected to move forward. But it will not be without its challenges—and opponents.